Mike acts as Superintendent, specializing in concrete schedules and buildings for Centaur. 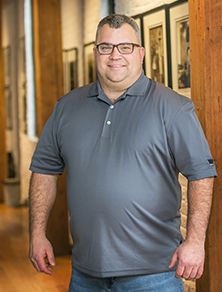 He is responsible for ensuring proper building practices and facilitating coordination between trades to expedite construction.Mike has worked in the construction industry for nearly 25 years. Starting out as a land surveyor, he quickly got involved with many large scale civil projects. In 1996, he began working for a large construction company in Chicago as a Local 130 Technical Engineer. He worked in the high-rise concrete division and has been influential to over 45 successful buildings. This gave him the foundation to expand his role as a Superintendent for future projects. Mike currently has the responsibility and ability to plan and execute concrete projects that have been challenging, yet successful. His dedication to detail and drive to succeed is why he is an important part of the Centaur team. When Mike is not dealing with concrete, he is the “foundation” of his family. He looks forward to going boating, golfing, visiting beaches or anything outdoors.